Lorde may have never seen a diamond in the flesh, but everything she touches turns to gold. This was the case for her debut album Pure Heroine, when she curated the The Hunger Games: Mockingjay — Part 1 soundtrack, and when she covered "Everybody Wants to Rule the World." It is the case once again on Lorde and Disclosure's new song "Magnets," which is about to rock your socks off. Disclosure just released the collaboration and it's the kind of song you want to hear in the club at 2AM. 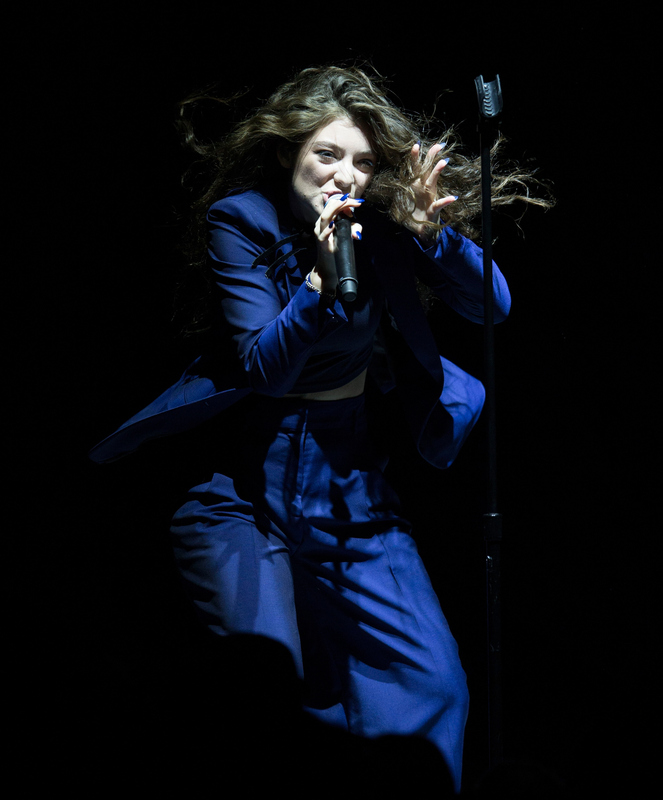 Lorde's smoky voice contributes to the polish haze of the track. Take the first verse, for example: "Never really felt bad about it / As we drank deep from a lie / Cause I felt melting magnets babe / The second I saw you through half shut eyes." Things pick up as Lorde sings, "Uh-oh, dancin' past the point of no return / Let go, we can free ourselves of all we've learned / I love this secret language that we're speaking / Say it to me, let's embrace the point of no return." While Pure Heroine was a tribute to growing up, Lorde discards any notion of adolescence with "Magnets." While it's a tricky transition for sure, she does it with finesse, using subtleties and confidence to make her point. It's a great song, made only better by her not using shock value. In fact, "Magnets" is the perfect vehicle to launch her next album, which is sure to be thematically more mature than Pure Heroine. The track shows her range, without limiting her to one specific genre or subject-matter. Even more importantly, it asserts that Lorde will be successful beyond her first album. The sophomore slump is very real, but it doesn't appear to be an issue for this talented musician. In any case, I look forward to Lorde releasing her new album. May it be very, very soon.